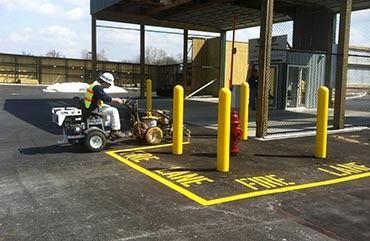 Pavement stencils can include common labels such as Reserved, No Parking Fire Lane, Visitor spaces, Loading Zone, and Customer Parking. 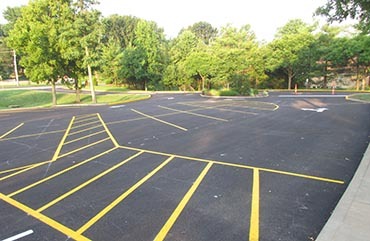 Your choice of paint color is offered. 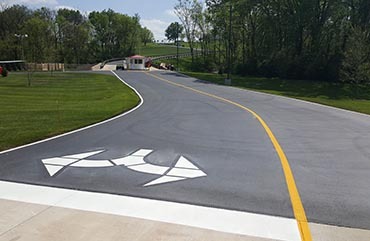 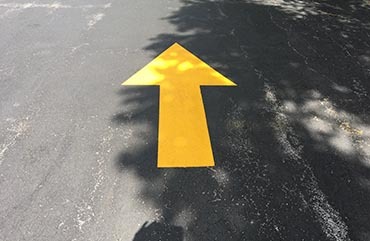 Directional arrows to assure proper traffic flow and safety come in a variety of styles, colors and sizes. 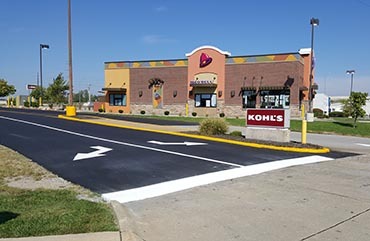 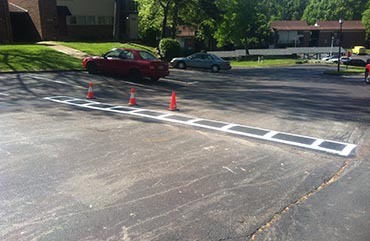 Keep your visitors safe with crosswalks, painted curbs and well-marked STOP bars. 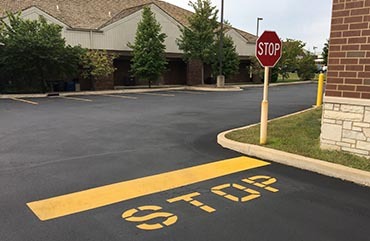 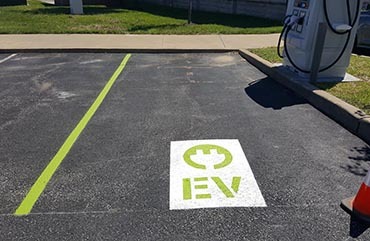 We provide custom lettering and numbering of parking stalls to meet your labeling needs. 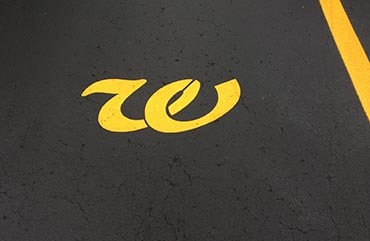 Special corporate lettering and symbols can be accommodated.